Next week all our Grade 2 students are going to be skyping with other students around the world. They are coming to the end of their How the World Works unit of inquiry, where they have studied how climate affects life on earth, and they are wanting to make connections so that the questions they have generated throughout this unit of inquiry can be answered by other students who are actually experiencing the effects of climate in different parts of the world. We will be skyping with students in Romania, who have recently experienced the coldest winter on record, and with students in Tanzania, Mozambique, South Africa, Thailand and India who are all experiencing different sorts of climate from us here in Switzerland. The students are excited and engaged in these inquiries, and as I started to think about how these connections create engagement in the students, I came across the Connected Learning website. 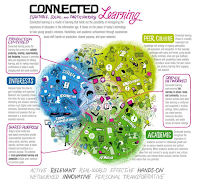 The first thing I noticed on this site was the amazing infographic which seemed to sum up for me exactly the advantages of connected learning. Please click here to go to the full size info graphic. Then I started to read further. The whole idea behind this site is that we need to reimagine the way we educate children - that we need new visions of learning - not just new models of schooling - that take account of the ways we can now connect, and when, where and how learning can take place. As I continued to explore the site I came across a video that for me sums up everything that I have felt is wrong with the current emphasis at school on outcomes. We seem to have spent a year writing outcomes for all "subjects" that go from Pre-School to Grade 12. Now we seem to be pushing these outcomes into the IB curricula we already have. I've heard so many teachers who have expressed unease at this, but these concerns are swept under the carpet as they are not part of the 4-year master plan. People who ask questions don't often end up doing well here so many have learnt to stay quiet and just get on with things. However this movie stated quite clearly what I truly believe: that when we start with outcomes we are starting with the wrong questions - we need to start with the students, with the experiences we want the students to have, with the engagement we want - so that students want to learn, and want to learn how to learn, and want to find communities of people who can help them learn. Next week we have the opportunity to connect with others who can help us learn - as the Grade 2 students are going to find out, although expertise may be widely distributed, the digital age is bringing us closer together. They can use Skype to ask other children around the world for information that will help them answer their own questions. 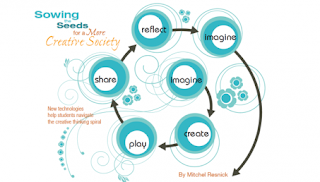 (I have to say that these connections are only possible because I am a connected learner - if I didn't already have a vast PLN around the world willing to help these students then this sort of learning would not be possible for them). 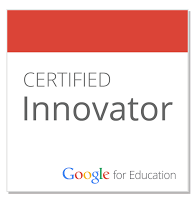 What I also notice on the connected learning website is an upcoming series of webinars. The first in this series on March 13th, entitled Sowing the Seeds for a More Creative Society, is by Mitch Resnick from MIT, who specializes in developing new technologies to engage children's creative learning experience. This webinar asks how we can help young people learn to express themselves with new technologies so that they can be active participants in tomorrow's creative society. This webinar takes place at 8am PST, which because of the time difference is 4pm here in Switzerland - so I'll definitely be able to join in, and there are some other great webinars planned for later this month and next month too. At the end of the day it doesn't matter how "out of sync" I might feel in my present position, as I know there are always other educators that I can connect with who are of like mind, who are looking to the future and who are pushing my learning forward.